Hurley have just released the biggest leap forward in boardshort technology since the Phantom. 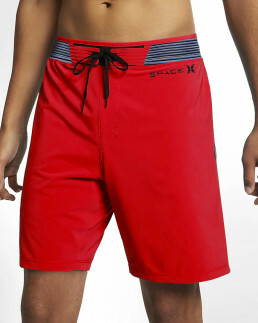 The Lightspeed boardshort, built in collaboration with Elon Musk’s Space X, is made from a futuristic material scientifically proven to reduce luminance drag. The technology works by reflecting light away from the shorts, eliminating any drag-inducing luminance into the fabric. They have also been tailored for aerodynamics and dipped in a hydrophilic coating for hydrodynamics as well. But, it’s the colouring that really has the biggest impact. On a grade of colours with ultimate reflection, there’s black at the slowest end, sliver towards the top and metallic red at the pinnacle. 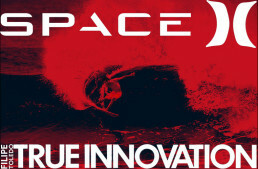 The Hurley x Space-X Lightspeed will be released as Filipe Toledo’s signature trunk – which is fitting for the fastest surfer in the world. During testing at Kelly’s Surf Ranch, Toledo was clocked going a record 51.4 miles per hour (82km/h for empiricists). That improves on his previous record by a full 34%!